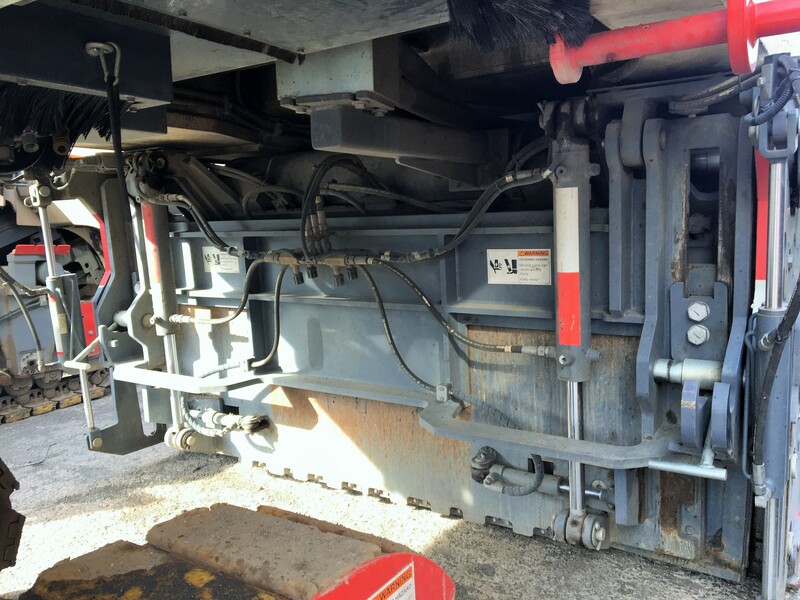 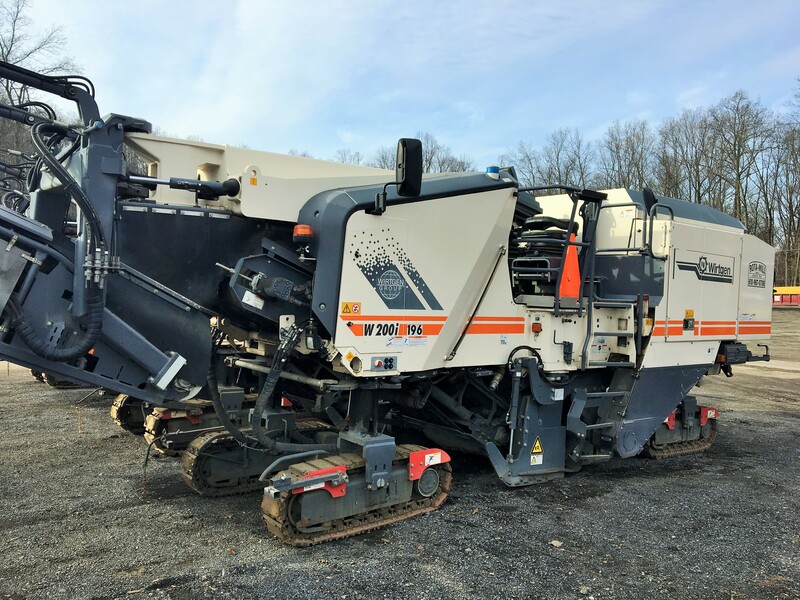 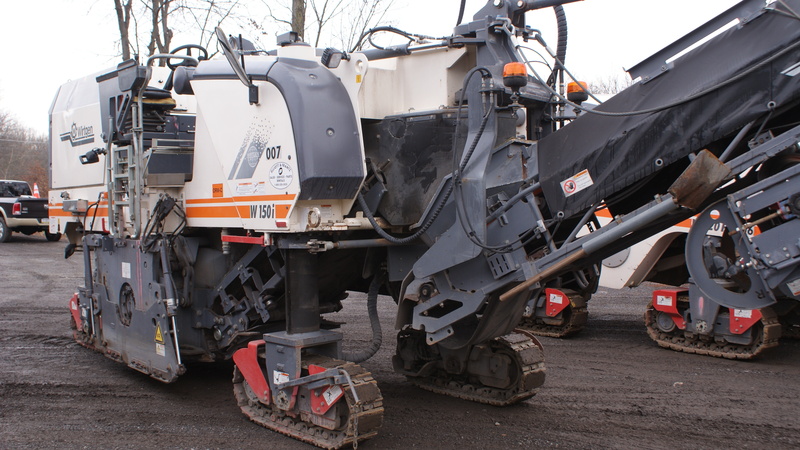 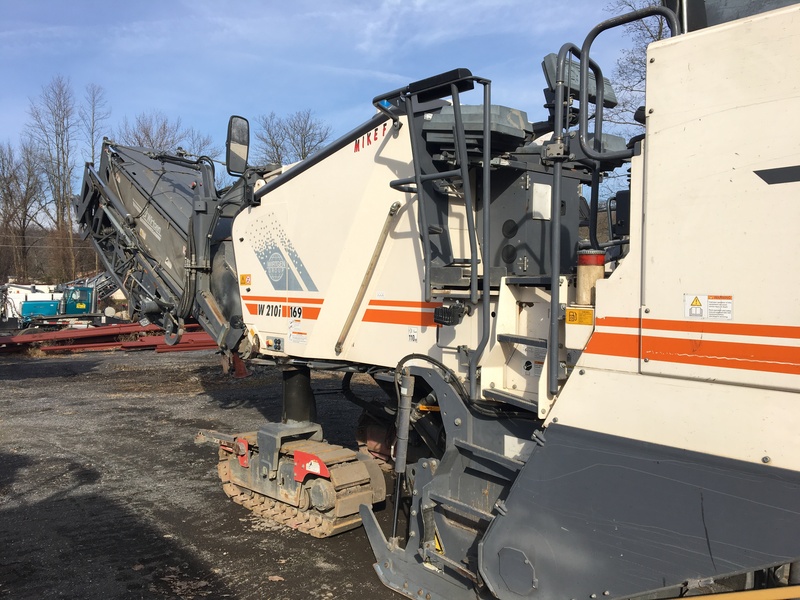 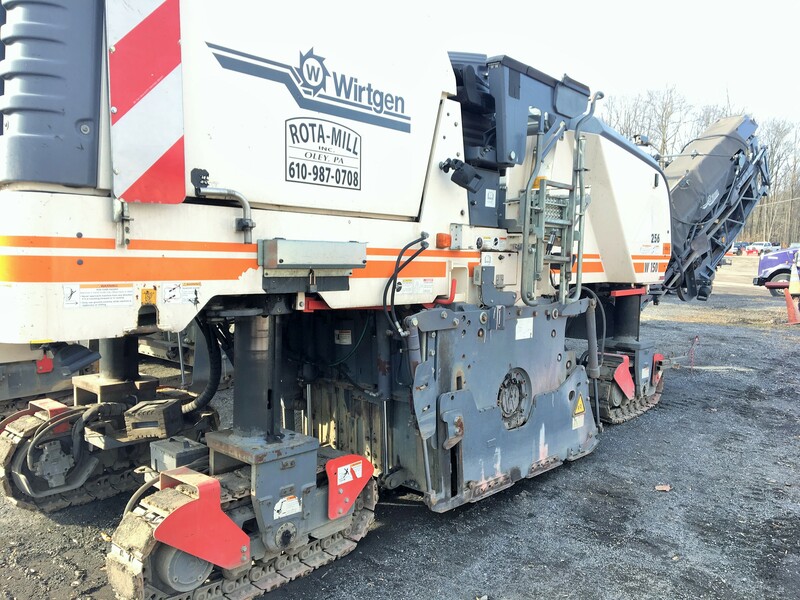 Milling Machines – Rota-Mill, Inc.
Mill up to a depth of 12"
Our 2 Wirtgen 120s feature a 48" rear drum, which is meant for tighter spots, whether that be in a parking lot or getting close to valve boxes, manholes, etc. 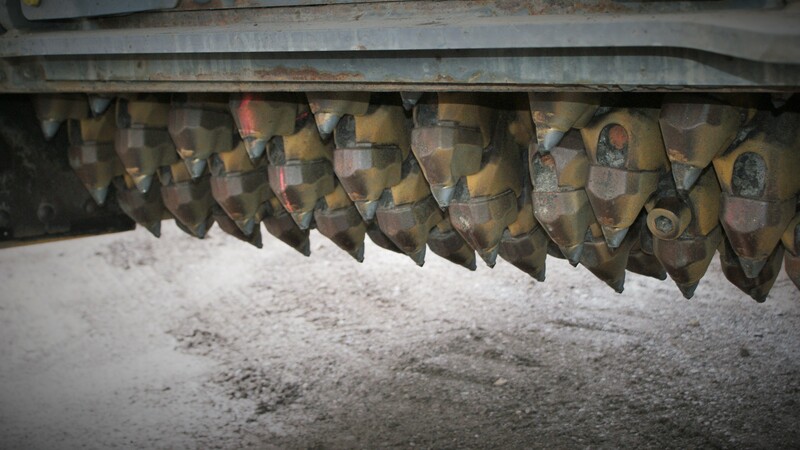 on roadways. 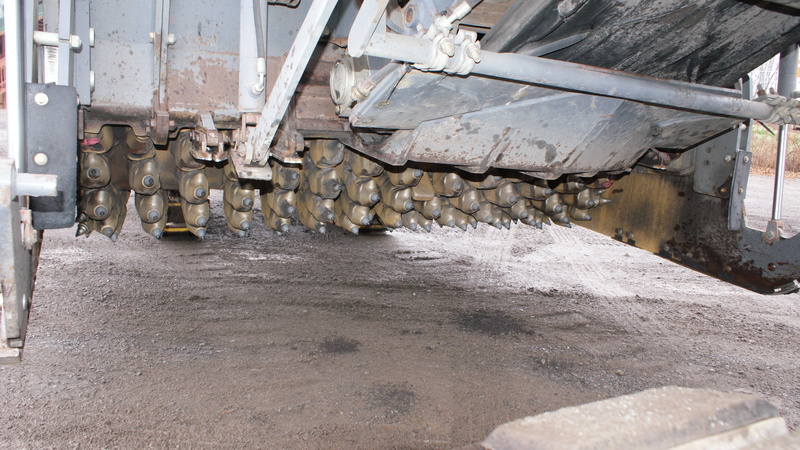 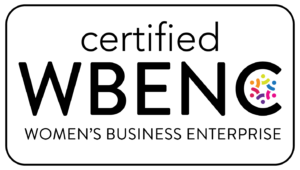 A benefit of having a rear drum, is that there will be less trim work for Skid Steers. 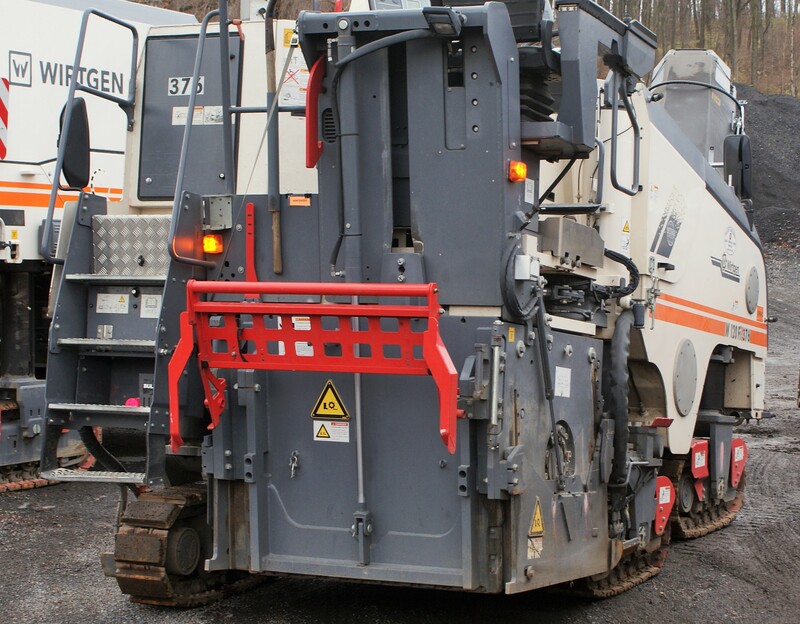 Our 2 Wirtgen 150s feature either a 24", 36", or 48" interchangeable drum. 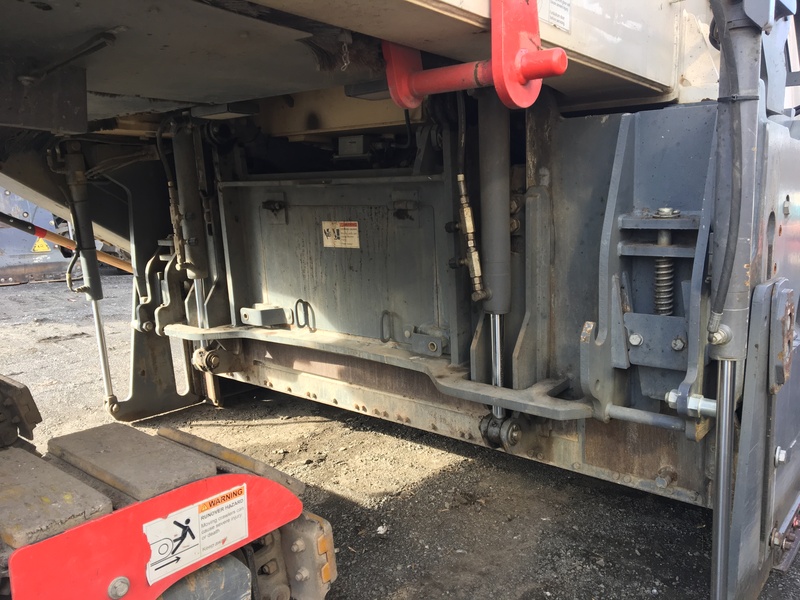 There is a fee for having to change the drum to a different size. 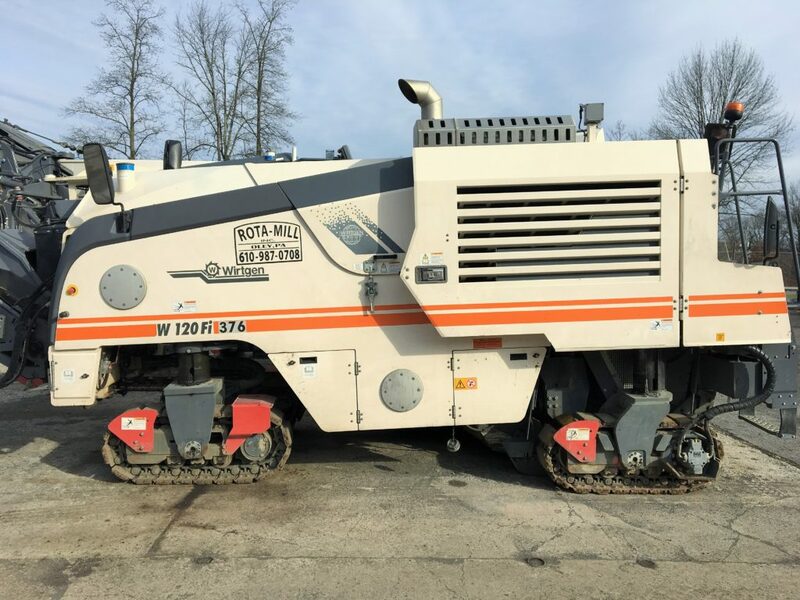 We currently have 1 in our fleet. 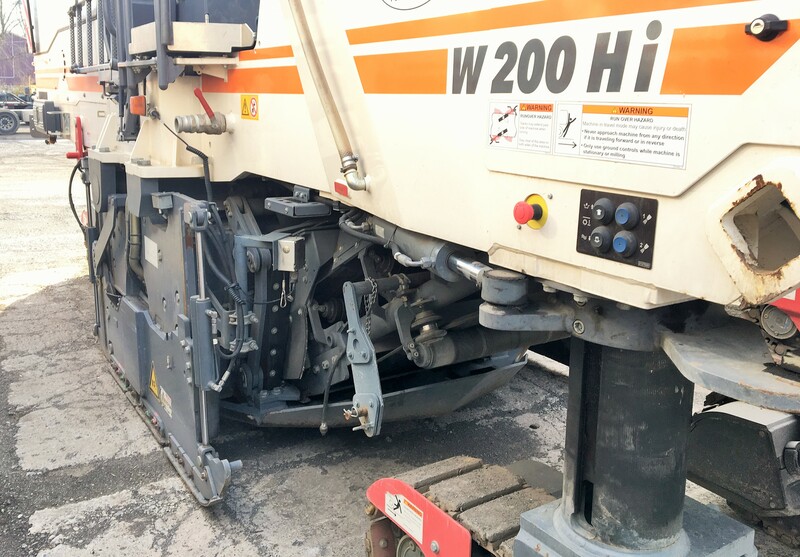 Our only Wirtgen 200 with an 83" side shifting drum (left or right) is meant for milling along barriers from the left side of the machine. 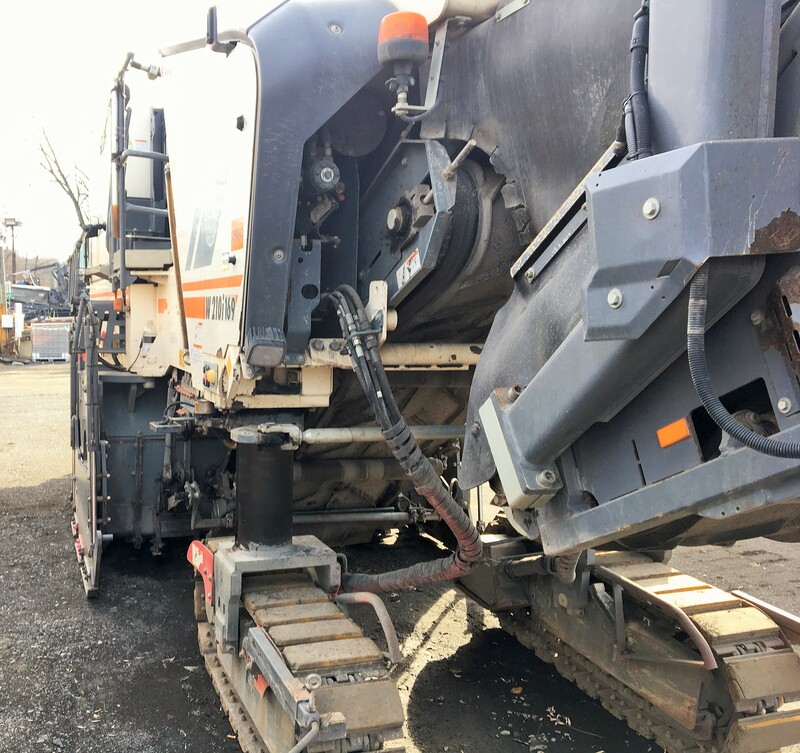 This benefits those who have projects that require a machine to be tight against Jersey barriers particularly on divided highways. 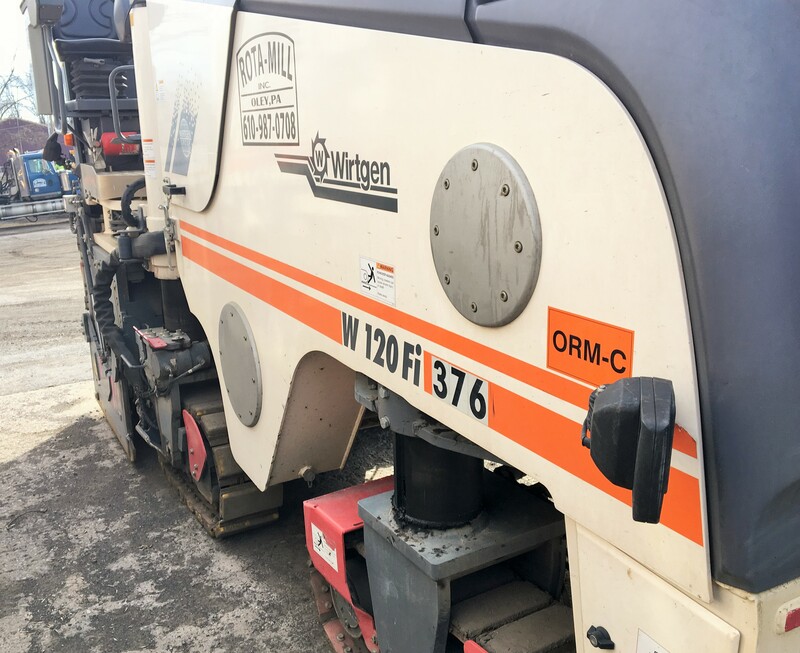 Our only Wirtgen 210 with an 87" drum is equipped with diamond teeth (not for diamond grinding) that has a 5/16" tooth spacing, which meets PennDOT's micro-mill specifications. 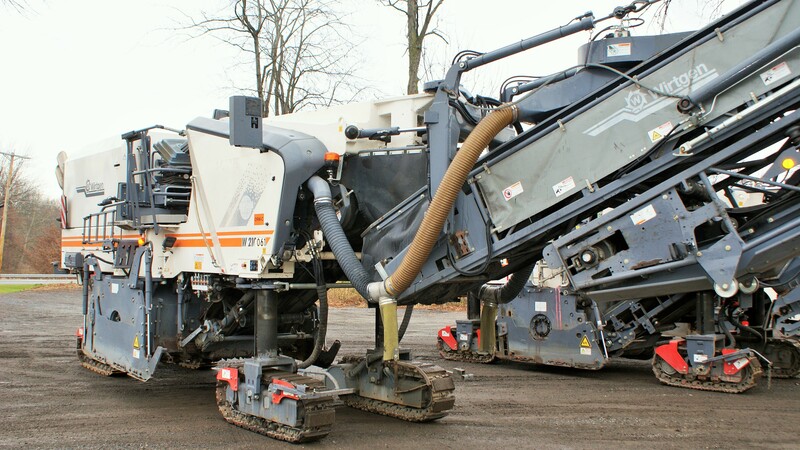 These are our largest machines, and we currently have 5 in our fleet.